As Thanksgiving rolls around, horse lovers like ourselves like to consider America’s relationship with horses and our common history. It’s popular knowledge that European colonists brought horses over to America during the 15th and 16th century to be traded with the Native Americans, hence the Thanksgiving association. While this is true, the relationship isn’t as straightforward as that; it’s a complicated one. 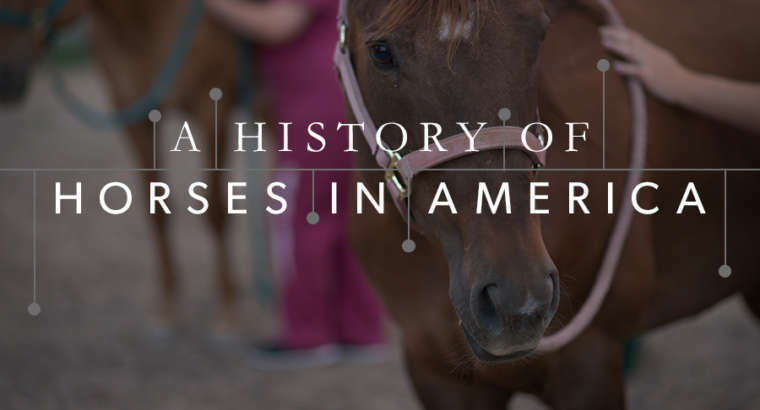 Although horses hadn’t been roaming the American plains in the years leading up to their European introduction, horses have a much longer relationship with America than previously thought. Think millionsof years, coinciding in time periods with the mighty wooly mammoth. Around 10,000 years ago, some of these wild horses crossed over the Bering land bridge that connected early America and Asia. The earliest bridles for horses were found in Eastern Europe dating back to 4000 BC, showing that the Europeans started to domesticate the wild horses around this time, using them for hunting, carrying packs and working the fields. The ancient wild horses that stayed in America became extinct, possibly due to climate changes, but their ancestors were introduced back to the American land via the European colonists many years later. Columbus’ second voyage was the starting point for the re-introduction, bringing Iberian horses to modern-day Mexico. Some of the Iberian horses escaped European control and became wild horses, relatives of the mustangs in the Western United States today. The first breeds of horses that were brought over were smaller, due to size constraints for the smaller ships of the time, but as time went on, larger horses such as draft horses were also imported. After Columbus’ re-introduction, horses spread across the continent and many Native American societies developed their cultures around them. This is where problems emerge, because although they were once native to America thousands of years ago, horses are still technically a recently introduced species to the American plains. Wild horses have few predators and a perfect habitat, so they quickly grew to become a symbol of the West. However, their populations grew too quickly, and they began to compete with farmers for the natural resources that the land held. The Bureau of Land Management currently protects the wild herds, but they have to manage the population via sterilization techniques, a dramatic controversy for animal rights activists. The horses we see today are all examples of selective breeding via humans over the years, but they’re also a shared part of our mixed Native and European histories. Horses allowed humans to travel farther and faster, instrumentally help out armies during battles, and develop the country through labor-intensive agriculture. There are currently around 9.2 million horses in the country, consisting of many breeds such as American Quarter Horses, Paints, Appaloosas, Missouri Fox Trotters, and rarer breeds such as the Shire, Lippizan, Gotland, Caspian and Colonial Spanish Mustangs. 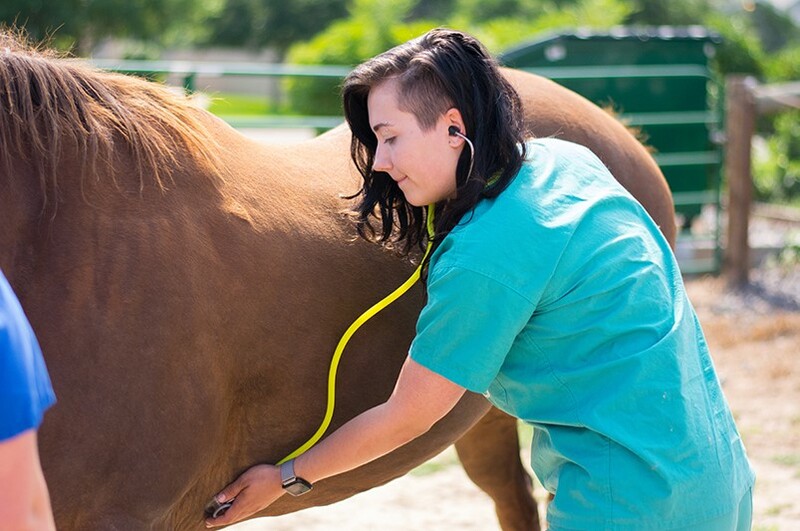 Today, veterinary technicians such as the graduates of Bel-Rea work with horses and many other animals to provide the care they need to thrive. From assisting in surgery to providing emergency care, taking radiographs (x-rays), running lab work and much more, veterinary technicians help care for small, large, and exotic animals in places like veterinary hospitals, shelters, zoos, and more.